The boom of China's modified plastics industry is largely attributable to the sustained development of home appliance, automotive and other downstream industries. The home appliance and automotive modified plastics market segments have huge growth potential. In 2011, the home appliance industry made up 54.1% of the consumption of modified plastics, while the automotive industry accounted for 34.1%, and the proportions are still climbing. Modified plastics are seeing the fastest growth in the home appliance industry. As China is a large home appliance producer and consumer, the application of modified plastics may expect unprecedented potential, with the targeted demand for home appliance modified plastics in 2012 hitting 3.758 million tonnes. Leading enterprises in the market segment include Kingfa Sci. & Tech., Guangzhou Huadu Keyuan, Guangdong Silver Age Sci & Tech, and Zhejiang Juner New Materials. The considerable demand for automotive modified plastics results from the growing market capacity of the automotive industry and the increasing application of plastic parts in automotives. 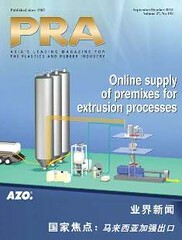 It's estimated that China's demand for automotive modified plastics will surpass 2.2 million tonnes in 2012. Leading enterprises in the market segment include China XD Plastics, PRET, and Beijing JuLingYan Plastic. Kingfa Sci. & Tech. is the largest modified plastics manufacturer in China with the most varieties of modified plastics products. In 2011, the company's capacity exceeded 580,000 tonnes, while the estimated output exceeded 600,000 tonnes. In February 2012, Kingfa launched additional share issue and planned to invest RMB3.833 billion in five projects in Tianjin, Guangzhou, Kunshan and Mianyang, which are set to be finished by 2016 and increase the company's capacity by 1.23 million tonnes, including 800,000 tonnes of automotive modified plastics. China XD Plastics is a major supplier in the automotive modified plastics market. In 2011, the sales volume of the company was 151,300 tonnes, up 33% year-on-year compared with the 113,700 tonnes in 2010, with the market occupancy in China's modified plastics market rising to 7.2% in 2011 from 5.4% in 2010. 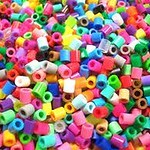 China XD Plastics is scheduled to expand its capacity to 300,000 tonnes by 2013.